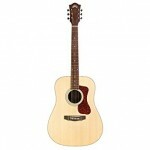 Guild's iconic arched back makes its return in the Westerly D-240E dreadnought acoustic-electric. 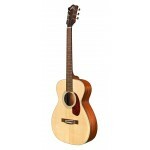 Th..
Guild's iconic arched back makes its return in the Westerly OM-240CE acoustic-electric. The purpose ..
Guild's iconic arched back makes its return in the compact Westerly M-240E acoustic-electric. The pu..